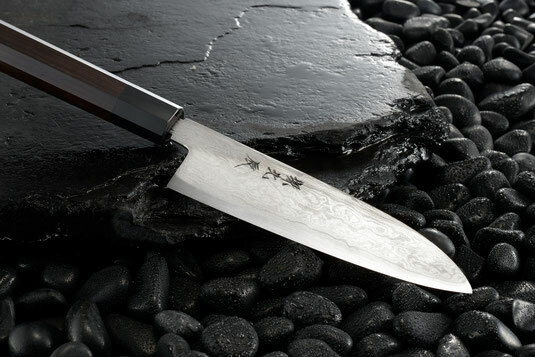 Incredibly performing blue steel enables the knife to keep the same quality for ages. Another handmade piece of magic by Ikeda. Core: Aogami 1 steel, hardened to HRC61. Handle: Fine Ebony handle, which is premium quality and very dirt-resistant and robust. Buffalo horn ferrule bolster.